Today is the launch party of China Eastern‘s New 777-300ER which has now commenced commercial service to LA, with the carrier launching the brand new Boeing aircraft on their prestigious trans-Pacific Shanghai – Los Angeles route. With already established routes to America, including New York, Los Angeles, San Francisco and Honolulu to Shanghai, China Eastern is poised to become a leading Chinese carrier in the race to dominate the US city pairs. With the delivery of the first of 20 777-300ERs, China Eastern has also officially embraced its new livery, a simpler and more free-form version of their original design, offering the familiar rounded typeface, colourful Swallow motif and plain Eurowhite scheme. Whilst we sadly don’t really have anything amazing to write about the outside of the aircraft (fairly obviously) the inside is a different story. 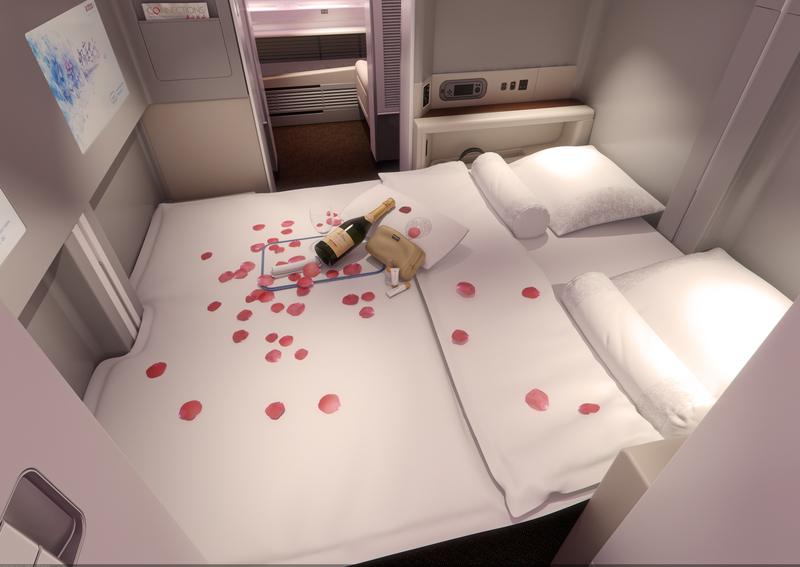 The airline has followed suit of many carriers, who have utilised the space and technology that the 777-300ER can now offer, and mirrors some of the comfort found on China Airlines’ Taipei based 777-300ERs that also cross the Pacific on a daily basis. Unlike some of the more ostentatious interior designs, such as Hainan or Hong Kong Airlines’ rich red and vibrant interiors, China Eastern have followed suit of Cathay and China Airlines offering a more subdued colour palette, allowing any rich deep colours to come from the effective and jet-lag busting mood lighting. The 316 seats onboard are split into three classes. 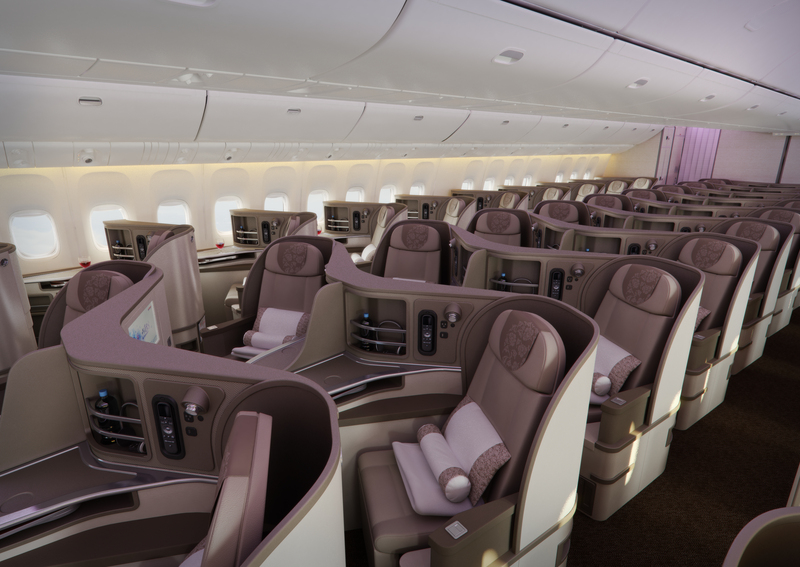 At the front of the plane are six First Class suites, with sliding doors for extra privacy, and a centrally paired seat which can convert from two seats into a full double bed. 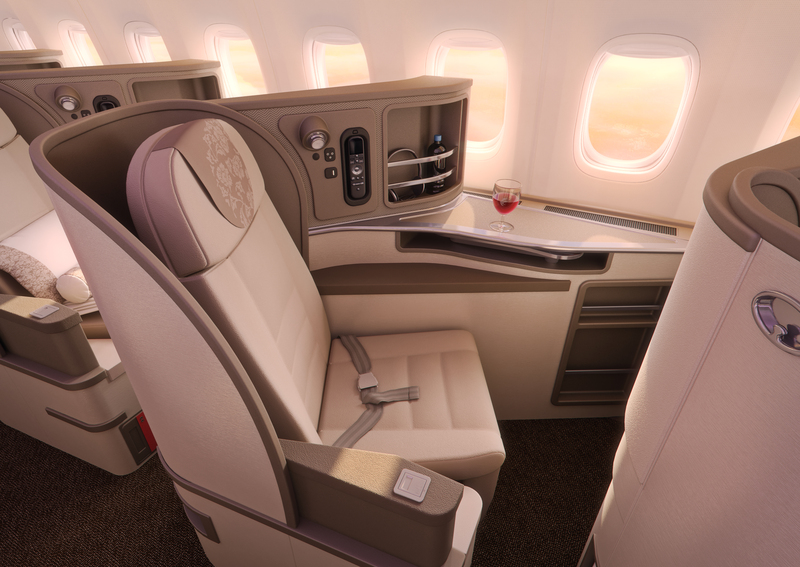 The main portion of the aircraft is dominated by 52 fully flat Zodiac Cirrus business class seats all offering aisle access, and towards the rear of the aircraft are 258 economy seats. 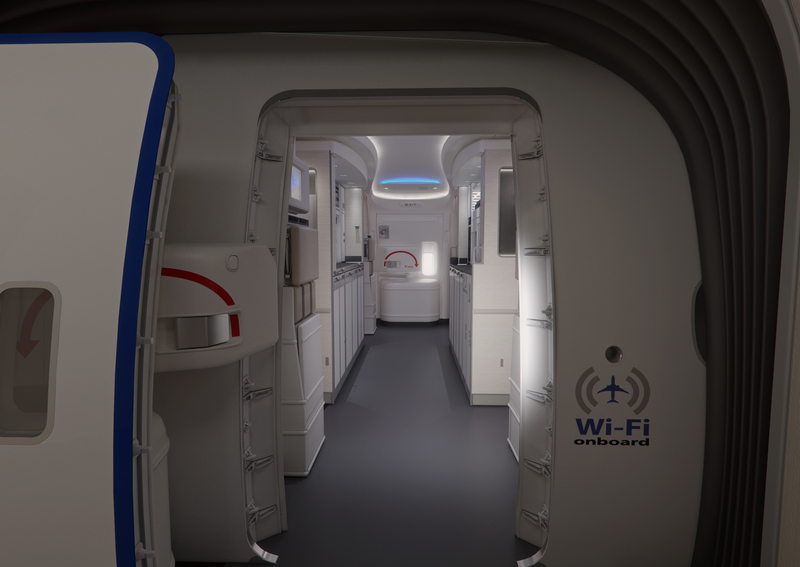 In first class, six lucky passengers will be able to enjoy a walk up bar and full privacy in a small but intimate cabin space, and at their seat, a 26.5 inch wide seat that turns into a 6’7″ fully flat bed. Those wishing to be entertained will have access to an impressive 24″ of HD screen right in front of them. Naturally, being a Boeing 777-300ER the aircraft is equipped with WiFi, as well as a host of power outlets and USB ports. Each of the suites, with their panelled sliding doors, play host to a wealth of storage units, from jacket hanging wardrobes to by seat storage nooks and crannies. The design here is simple, yet elegant. Creams and neutral colours fill the cabin, earthed by a deep carpet. Sleek likes and perfectly framed windows make the cabin feel more Orient Express, perhaps an apt coincidence, considering the Shanghai routes. 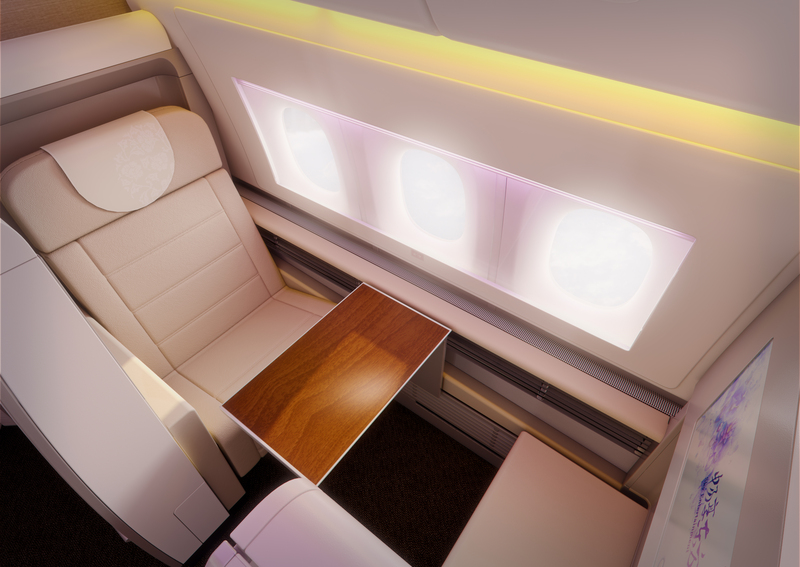 In business class, passengers won’t feel cheated on space, as the reverse herringbone design gives every passenger the industry standard all-aisle-access and seats that are angled away from the aisle for extra privacy. 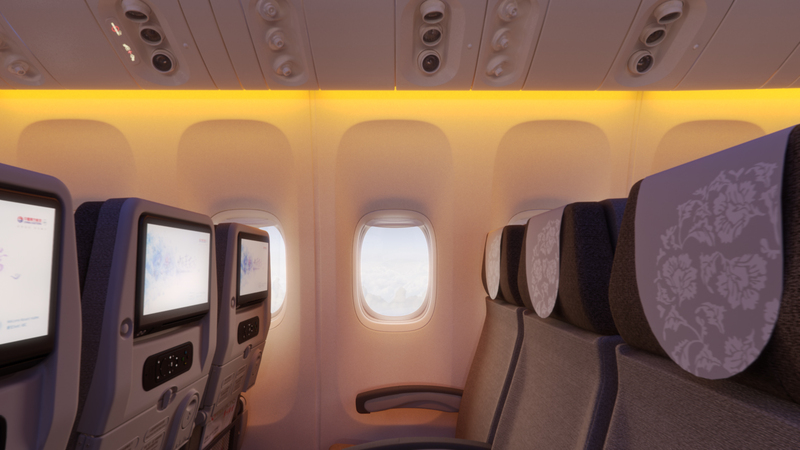 Our tip is head for the mini cabin of just two rows (6&7), situated at the front of the aircraft, just behind first class, a quieter oasis where you will feel secluded, and more special, compared to the sea of luxurious seats in the cabin behind. At each seat however, there is little less space than first class, with 6’3″ of fully flat bed at your disposal and a seat width of just over 23″ The seat also has a wealth of storage spaces, hi tech amenities and a 16″ fully HD touchscreen monitor just waiting to be delved into on your 11 hour+ flight across the pacific. 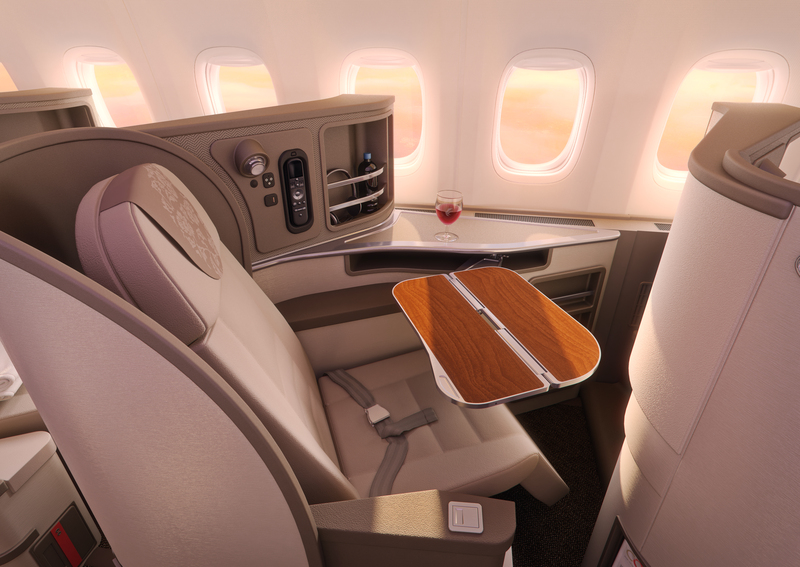 There is another sea of neutral tones on display here, and by far, the best seats are those facing the windows, which feel more private and match the feel of some carriers international First Class offerings. In the back, the carrier has opted for the 3 x 4 x 3 slightly narrower seats at 17″ wide, however seat pitch is on par with industry standard, and with Wi-Fi and 11.1″ touchscreen HD TVs to entertain you, the journey may not feel as tight as usual. We have to applaud the interior design at work here, with neutral tones, greys and browns all working harmoniously to create a calming environment, and more residential than airline. 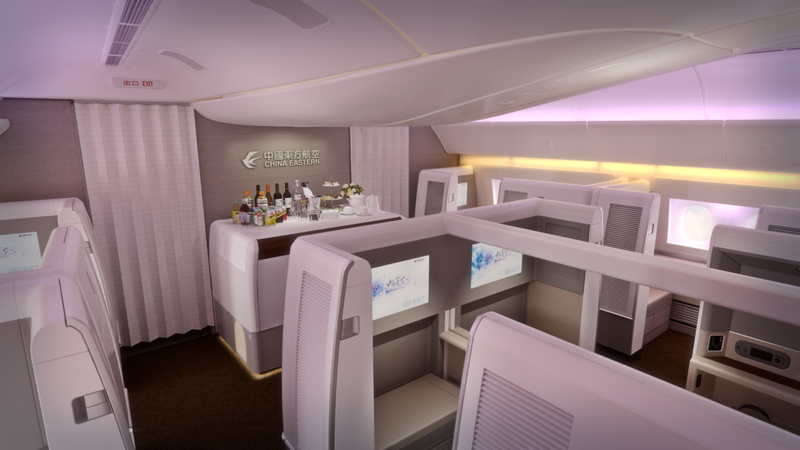 All in all, China Eastern has showcased it can bring their fleet up to the passenger experience standard required for international carriers, and whilst the carrier may have a mind boggling 80million passengers per year, internationally speaking it’s relatively unknown. This new 777-300ER may just change that, and one thing is for sure… we will be paying more attention to this carrier in the future, and adding it to our bucket list of future flights. Are they using this aircraft on their ShagHaii New York route currently?